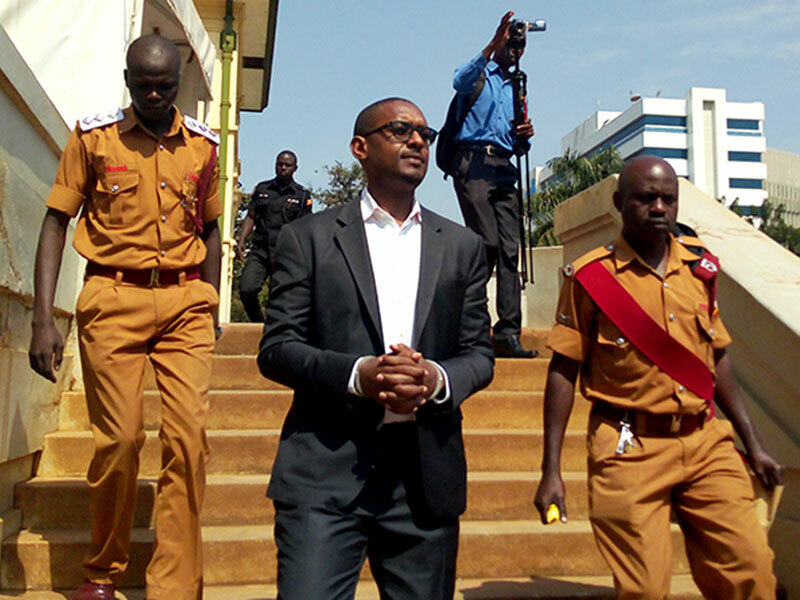 KAMPALA – The state on Monday declined to proceed with the hearing of a case in which Mathew Kanyamunyu is accused of the murder of a social worker Kenneth Akena two years ago. Kanyamunyu, who is jointly charged with his elder brother Joseph Kanyamunyu and girlfriend Cynthia Munwangari for the death of Akena which occurred on November 12, 2017, along Kampala Jinja High way had appeared in court with their lawyers for the hearing of their case. Prosecution led by Ms Fatina Nakafeero informed the presiding judge Steven Mubiruthat she could not proceed to present her witnesses without undergoing through the requisite pre-trial step. Hearing of a murder case against Mathew Kanyamunyu, who is famous for having allegedly shot dead social worker Kenneth Akena for denting his car has not kicked -off today before the High court because the DPP did not disclose his intended evidence to the suspects on time. She then asked court to adjourn the case to the next session hoping that by then, she would have been able to disclose all the evidence and exhibits to the defence team led by Mr Macdusman Kabega as they requested. Consequently, justice Mubiru has pushed this trial to the next convenient criminal session of the court saying he cannot find another date to fix the case for hearing given the fact that he is left with just a week’s time within which to conclude his session. According to the evidence that Prosecution intends to disclose, Kanyamunyu is said to have been driving along with his girlfriend Munwangari on a fateful night before he got into a quarrel with Akena whom he accused of scratching his car. The evidence further shows that Kanyamunyu shot Akena three times in the stomach and later the couple played a good Samaritan who rushed him to Novirk Hospital on Bombo road where he died from. But Prosecution contends that the Health workers at Norvik hospital who interacted with Akena shortly before his demise claim he left a dying declaration on his lips mentioning Kanyamunyu as his killer. For Joseph Kanyamunyu, is however separately charged with being an accessory to the said murder . Prosecution believes that he was called by his brother at the scene of the crime, picked the killer gun from the vehicle and hid it in order to conceal evidence. The trio has since denied the charges and are out on bail awaiting the case to be fixed in the next session.